Should Oakland Schools Finally Try to Integrate? OUSD, like the city itself, is highly segregated. But unlike Berkeley, Oakland has never attempted to desegregate its public schools. RYSE aims to build the next generation of people of color to lead Richmond. The impending closure of emergency services at Alta Bates in Berkeley has many worried about the consequences for communities in the East Bay — especially Richmond. 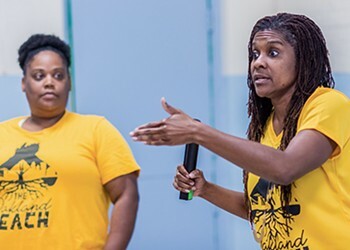 McCrary works to inspire civic pride and cultivate a stronger connection with the Richmond community. Organizers hope to harness the uproar caused by family separations into a larger effort to reform immigration and mass incarceration policies.